We've seen a few leaks of Verizon's upcoming Stratosphere II over the past couple of months, and Big Red just made the handset official. As expected, it's a modest mid-ranger with a 4-inch display and powered by a 1.2GHz dual-core processor. 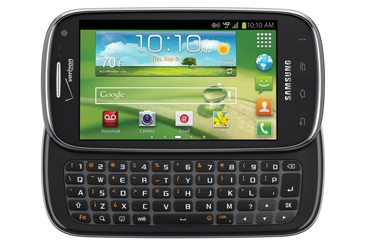 Like its predecessor, the Stratosphere II will also sport a slide-out QWERTY keyboard. This global-ready Android 4.0 handset will be available "in the coming weeks" for $129, but that's after a $50 mail-in-rebate and a two year agreement. Woo.